Mark Langholz joined the firm in 2006 after spending eight years as an Assistant District Attorney in the Waukesha County District Attorney's Office. Mark focuses his practice on family law while also assisting his clients with small business matters and litigation. He is a member of the Collaborative Family Law Council of Wisconsin. Attorney Langholz graduated from Marquette University Law School in 1998 after having spent nearly two years working in the Illinois State Legislature prior to attending law school. He is admitted to practice in the circuit and appellate courts of Wisconsin as well as the Federal District Court for the Eastern District of Wisconsin. Attorney Langholz is a member of the State Bar of Wisconsin and the Ozaukee County Bar Association. In addition to his law practice, Attorney Langholz is active in the community. 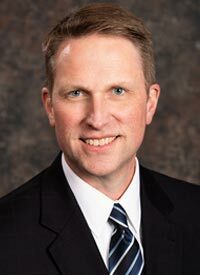 He has served as President of the Cedarburg Chamber of Commerce; President of the Church Council at Fox Point Lutheran Church; President of the Cedarburg Cultural Center and Board Member of Advocates of Ozaukee County. Mark has also coached a variety of youth sports teams in Cedarburg.